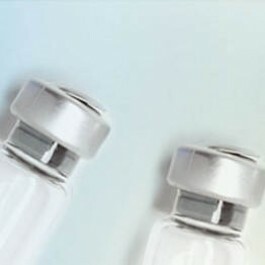 Search for all "Interleukin-23 / IL23"
> 95 % pure by SDS-PAGE gel and HPLC analyses. *Manufactured using BTI-Tn-5B1-4 cells under license from the Boyce Thompson Institute for Plant Research, Inc.
Recombinant IL-23 is a 53.5 kDa heterodimeric protein consisting of two subunits, p19 (170 amino acids) and p40 (306 amino acids). IL-23 is a proinflammatory heterodimeric protein composed of two subunits, a unique p19 subunit and a p40 subunit, which is shared with IL-12. IL-23 is secreted by activated dendritic cells and macrophages, and signals though a receptor comprised of IL-23R complexed with IL-12Rβ2. IL-23 has been shown to enhance proliferation of memory T cells. It also stimulates the production of IFN-gamma in NK cells, induces IL-17 production, and drives Th17 mediated responses. Measured by its ability to induce IL-17 secretion by mouse splenocytes. < 0.1 ng per μg (1EU/μg). >95% pure by SDS-PAGE gel and HPLC analyses. Lyophilized (0.2µ sterile filtered) purified protein. Restore in sterile water to a concentration of 0.5-1.0 mg/ml. Do not vortex. This solution can be stored at 2-8°C for up to 1 week. For extended storage, it is recommended to further dilute in a buffer containing a carrier protein (example 0.1% BSA) and store in working aliquots at -20°C to -80°C.